Amerock BP36603PN Oberon 1-3/8-inch (35 mm) Dia Knob is finished in Polished Nickel. Inviting to the touch and beautiful to the eye, Oberon is an intriguing take on modern design. Both the solid cast and acrylic knobs pair well with our sleek bar pulls. A modern metallic finish, Polished Nickel offers the beauty and luster of sterling silver without the cost or care it takes to maintain. Amerock markets decorative hardware solutions that inspire, coordinate and help express personal style. For the kitchen, bathroom and the rest of the home, with a variety of finishes and designs for all decorating tastes, Amerock is the ultimate, time-tested source for hardware needs. Amerock markets products in four categories: decorative hardware, decorative hooks, bath accessories and functional hardware. From Liberty Hardware, the Square Elegant Knob is inspired by the strong lines of classic American cabinetry. The rectangular shaped knob boasts a substantial base with intricate details that showcase the craftsmanship of the design. Finished in Polished Nickel for a look that is widely complementary. Bring a contemporary look and feel to your kitchen or bathroom cabinetry with the Bauhaus Collection from Liberty. Minimalist in nature, this 1-5/8 inch Bar Knob features crisp clean lines constructed from genuine stainless steel for a sleek, high-end appearance. It provides the perfect finishing touch for those looking to make a statement with existing or new home décor. Enhance your interior decor scheme with the Liberty 1-3/8 inch Distressed Oil-Rubbed Bronze Large Football Knob. The knob features a striking finish and is constructed with sturdy metal for long-lasting use. Fasteners included for easy installation. Harmon 1-3/8 in. 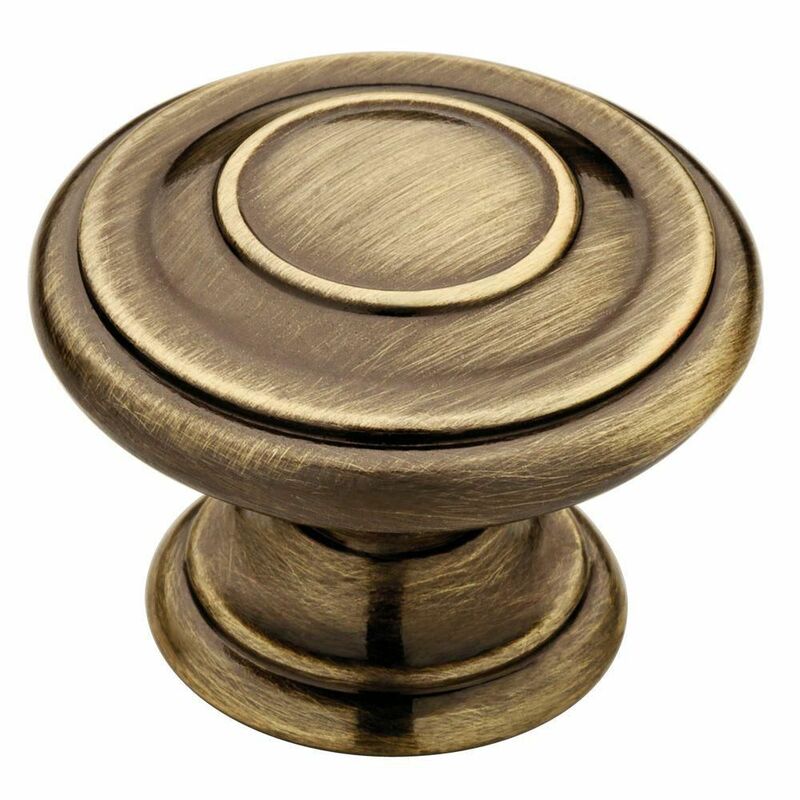 Antique Bronze Cabinet Knob is rated 4.8 out of 5 by 30. Rated 5 out of 5 by Amateurhandyman from Very nice knobs. Good price. Really improves look of cabinets. Very nice knobs. Good price. Really improves look of cabinets. Rated 5 out of 5 by NCretiredteacher from A well-made classic.... A well-made classic.